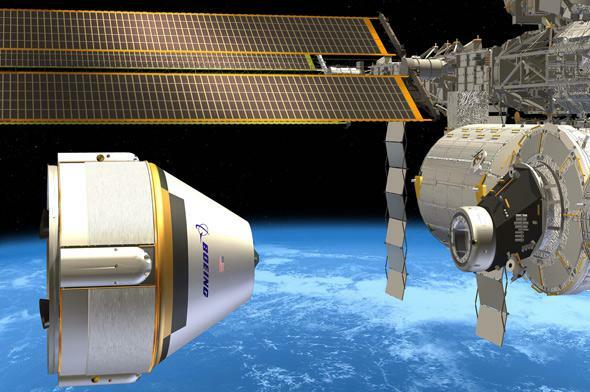 Congress and NASA: Commercial Crew program is underfunded. Atlantis landing: On board were the last Americans to fly on an American rocket into space. On Saturday, just a few days from now, it will have been 1,500 days that NASA has been relying on Russia to hitch a ride to the International Space Station. 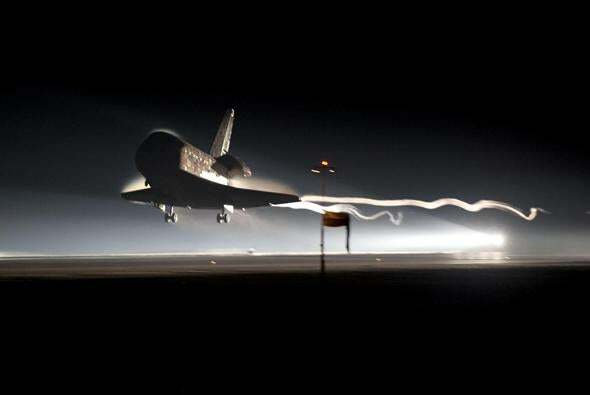 It was that long ago when the Space Shuttle Atlantis landed at Kennedy Space Center—the last Shuttle flight to the ISS, and in fact the last Shuttle flight of them all. That was the last time an American rocket carried humans into space. As I have made clear many times, I do not begrudge President Bush for canceling the Shuttle program, nor President Obama for canceling its replacement, the Constellation program, which was running severely over budget and behind schedule. What I do begrudge is a Congress that has made this situation far worse by underfunding the Commercial Crew Development program, which was specifically designed to allow commercial companies to pick up the slack and get Americans back into space on board American crewed vehicles. Every year, NASA works with the White House to create a budget. The amount the president has asked to fund Commercial Crew over time would have been enough to begin the first launches this year, 2015. But over the past five years, Congress has consistently underfunded Commercial Crew, usually by several hundred million dollars every year, as much as 25 percent of the requested funds. The total amount that’s been shorted is about $1 billion. In 2010, I presented to Congress a plan to partner with American industry to return launches to the United States by 2015 if provided the requested level of funding. Unfortunately, for five years now, the Congress, while incrementally increasing annual funding, has not adequately funded the Commercial Crew Program to return human spaceflight launches to American soil this year, as planned. This has resulted in continued sole reliance on the Russian Soyuz spacecraft as our crew transport vehicle for American and international partner crews to the ISS. That last sentence is critically important. Every launch we miss because Congress has underfunded Commercial Crew is a launch we have to pay Russia for—and Putin’s government has been consistently jacking up the price for years. My friend Mika McKinnon cranked the numbers and found that it will cost upwards of a half billion dollars to put six astronauts on the space station in 2017 (Bolden’s number is in that same ballpark), but it would cost 75 percent of that to launch them on American vehicles—and that money would be staying here in the U.S., not being sent to Russia. Why are we investing in Russia, and not ourselves? Perhaps because many of the Congress members who are in charge of NASA’s budget right now are more invested in building the Space Launch System, the NASA rocket system designed to replace the Shuttle. My opinion on SLS and the Orion capsule are a matter of record: I think, given the cost, that money would be far, far better spent on commercial rockets. SLS is so expensive that I worry there won’t be money left in the budget to do anything with it. I’m not the only one who thinks that either. Nor am I the only person who has been outspoken against SLS. Lori Garver thinks it’s a waste of money, too, and she is former deputy administrator of NASA! So why is Congress so gung ho for SLS? Maybe because so many Congress members have people building SLS in their states and districts. For one very critical example, space journalist Eric Berger points out that Sen. Richard Shelby, R-Alabama, is the chairman of the Senate’s committee that funds NASA, and he has Marshall Space Flight Center in this district. Marshall is where SLS is being designed and built. Shelby also has a history of throwing roadblocks in the way of funding Commercial Crew and SpaceX. Berger also points out that Congress has made it clear that other government-funded agencies, like the Department of Defense, are not allowed to buy hardware from Russia. Yet here we are, with that same Congress forcing NASA to pay Russia to the tune of nearly 500 million bucks for one year. For its part, Congress has asked the president why he is underfunding SLS. That’s pretty audacious, given these facts (and given that Congress actually funded SLS at levels higher than what NASA requested). Coincidentally, the amount of money cut from Commercial Crew is about the same as what we’ve been sending to Russia for seats on their Soyuz. I’ll also note that at the very best, SLS won’t be ready to put humans in space for four years after a commercial vehicle could. How many billions of dollars would that mean giving to Russia to cover that gap if Commercial Crew is still underfunded? Drawing of Boeing’s commercial crew space capsule CST-100 docking with ISS. Let me be clear: I love NASA. I think it represents the best of what we humans can do. I also know it is tied in knots trying to appease the whims of Congress and the White House, two winds that blow in vastly different directions. I have taken the president to task before for mysteriously and bafflingly underfunding planetary exploration, but in this case the White House has it right. I know that SLS and Orion are too big and moving forward too much to cancel now. That’s a political reality, and while I can’t make my peace with it, I can understand its truth. But this nickel and diming Commercial Crew must stop. Boeing and SpaceX need that money to keep the schedule, and if Congress can’t find it, then we’ll just be sending payload bays full of cash to Russia for many more years to come. The solution is easy. The amount of money we’re talking about here isn’t much in terms of government spending, and it will save hundreds of millions of dollars per year in the long run, all the while promoting American industry and ingenuity. Congress: Increase NASA’s budget by the amount needed. Fund SLS and Orion as you see fit, but don’t do so at the cost—literally—of Commercial Crew Development.